Saffiano leather zip around wallet. 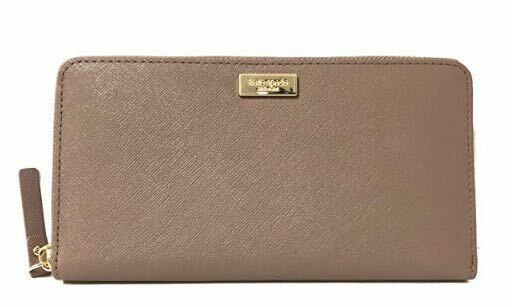 Kate spade name plate on front and exterior slip pocket. Interior with card slots, two full length bill slots and a zip coin compartment. Color is dusk city scape.